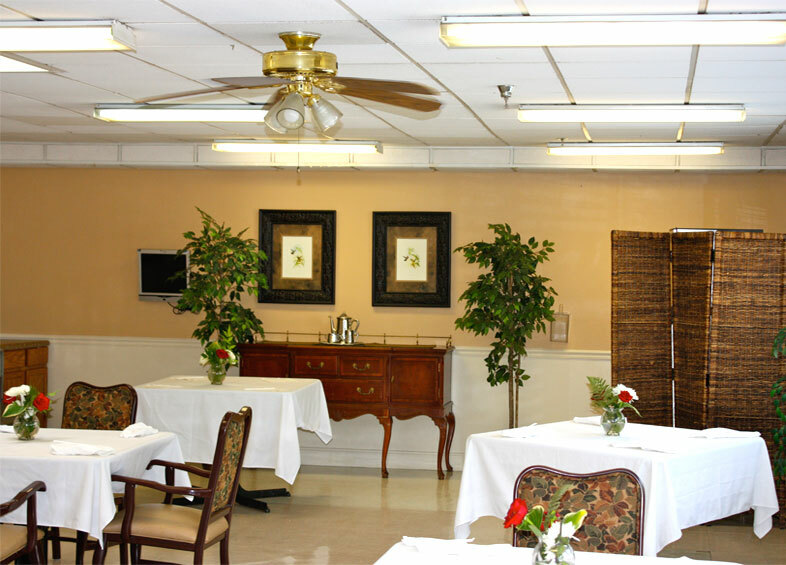 At Magnolia Manor Greenville, we strive to provide quality healthcare while showing dignity and compassion for those we serve. Recreational programs encourage restoration of self-esteem and resumption of normal recreational and social activities. Recreational opportunities can be adapted to compensate for physical and cognitive limitations as they promote optimal participation. 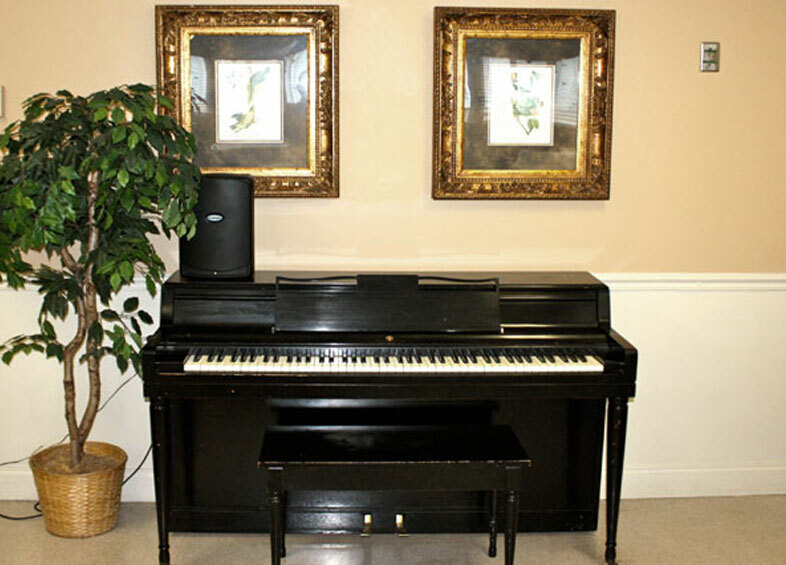 Residents are encouraged to participate in physical, cognitive, social and spiritual programs. Our residents participate in planning activities. Pet therapy is provided by the local humane society. Snowflake, a cockatoo, lives at our facility. We also encourage visits from our resident's own pets. Some of our residents' favorite activities are fishing, playing WII games, Red Hat Society, Men's Club, and of course, Bingo. Holidays and traditions are celebrated at Magnolia Manor. One of our biggest events is our family/resident Thanksgiving dinner. Our residents participate in the Festival of Trees sponsored by one of our local hospitals by decorating a tree at one of our downtown hotels for the Christmas season. We are very proud of our volunteers who provide invaluable and much appreciated support and reassurance to our residents and the activity department. Our volunteers come from local churches and schools, ROTC, garden clubs and other volunteer organizations. We always welcome new volunteers and new ideas. Our team consists of two Activity Directors with extensive experience and special skills necessary to work with people with all types of physical and cognitive disabilities. Each receives on-going education and training. We believe that fresh, wholesome foods with great flavor are vital to promoting health and an enjoyable dining experience. Our Food Service Department is committed to providing high quality, nutritious meals with excellent service. We recognize the importance of creating a pleasant atmosphere in all of our dining areas and understand that an attractive, social environment at mealtimes directly impacts the health and quality of life for our diners. Our menu is a four week seasonal plan that changes for winter/spring and summer/fall. Our Food Service Department prepares special meals, including our “Meal of the Month.” Created by our Resident Council, Mother’s Day Tea, monthly theme meals are often centered around ethnic favorites. Our residents and families enjoy our annual Thanksgiving dinner, Christmas party and cook outs. Because we know food is best when shared with family and friends, loved ones may purchase meals at a nominal charge. Within a few days of admission, each resident is visited by our Dietary Manager who will complete an individual diet history detailing food preferences. 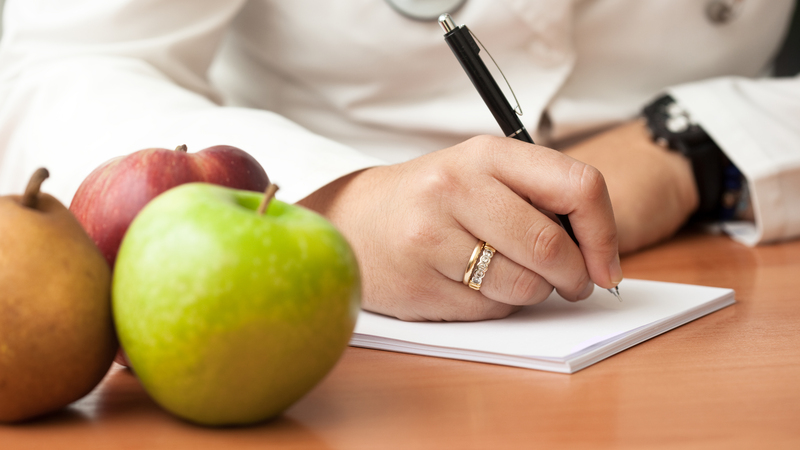 The menus are reviewed by our Registered Dietician. The food services team is eager to speak with you personally to address any questions you might have on an individual basis. They look forward to serving you. 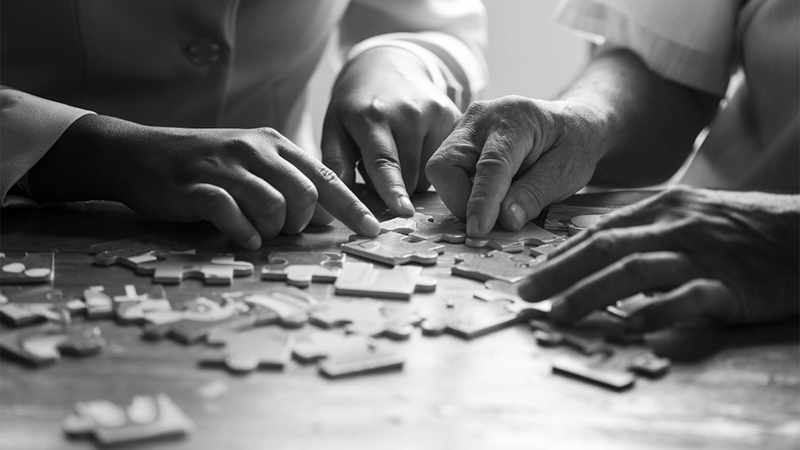 Long term care services include a range of services and supports that assist the resident with performing activities of daily living (ADL's). These include, but are not limited to assistance with eating, dressing, toileting and medication administration. Residents receive room and board, nursing services, recreational and social services. Necessary clinical or medical services not included in the daily rate are arranged as needed. 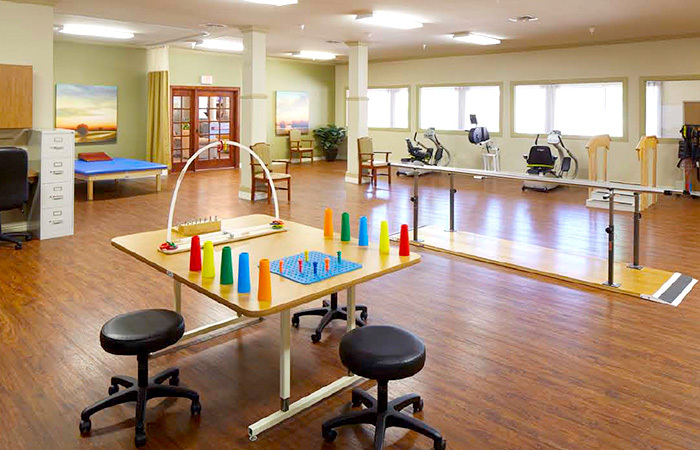 Shortly after arrival at Magnolia Manor Greenville, our skilled team of clinicians and therapists will conduct a full clinical assessment of the individual to identify their needs and begin planning with them for their recovery, and to return them to their highest practical level of independence. The interdisciplinary team develops a comprehensive, individualized care plan with measureable goals. Progress toward their goals is discussed by the interdisciplinary team quarterly during regularly scheduled care conferences. 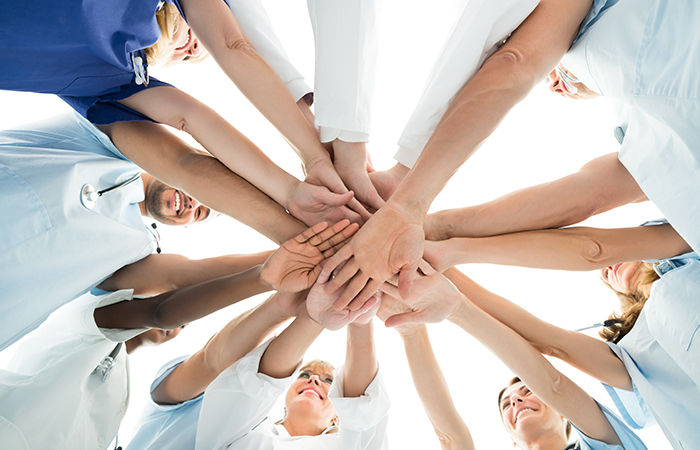 The interdisciplinary team includes: the resident’s attending physician, physical therapists, occupational therapists, speech pathologists, respiratory therapists, social service director, activity director, restorative nursing, certified nursing assistants, licensed nurses, dietary manager, wound care nurse. Residents and their families are integral members of the team, working with the team to establish (and re-establish) as often as necessary realistic goals and treatment goals. We pride ourselves on delivering person-centered care, so each resident's experience will be different depending on their needs and wishes. For short term rehabilitation, the goal is to help residents return home, or “get back on their feet”, and to be able to perform as many activities of daily living as possible. Shortly after arrival, our skilled team will develop a plan for their recovery and safe return home. A typical short-term rehabilitation resident will receive from one to three hours of therapy services per day, three to six days per week. Social Service Directors make return to the community seamless by setting up home health services and having necessary durable medical delivered to the home. Family training is also provided prior to discharge. The primary person responsible for resident care is the independent primary care physician. This physician is responsible for ordering necessary tests, determining diagnosis and appropriate treatment(s), prescribing medications and determining when residents are ready for discharge. Residents have a choice of their physician. If your PCP wants to follow you to our facility, please have them contact our Admission Director to set up an appointment to discuss our credentialing process. If your PCP does not wish to follow your care in the facility by making rounds, we have a list of independent physicians you may choose from. Our social service department provides advocacy and support for residents. Upon admission, each resident is assigned to a Social Service Director who is responsible, along with the interdisciplinary team, to identify emotional and psychosocial needs and create a comprehensive care plan to address them. The department also maintains a rapport with outside community health, welfare, and social agencies, and makes referrals as appropriate. The Social Service Director is also the first point of contact if a concern arises that needs to be brought to the attention of facility management. 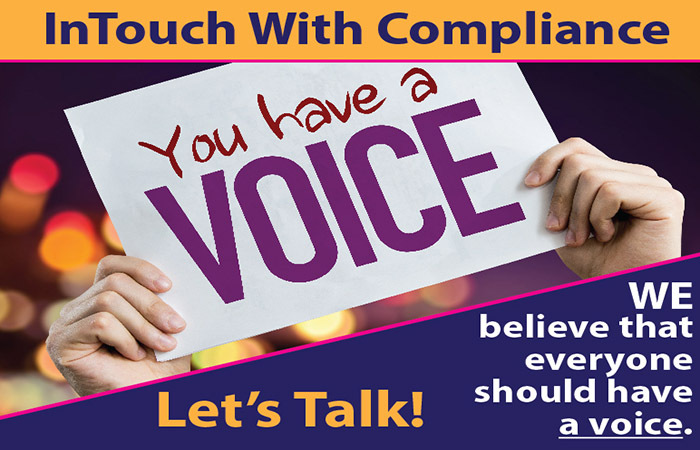 When a concern is brought to your Social Service Director's attention, they will complete a written concern form and follow-up with necessary members of the interdisciplinary team to resolve the resident's concern. The Social Service Directors also assist in the discharge process by coordinating resident/family training needs prior to discharge and in arranging home services as needed. The interdisciplinary team includes: The resident's primary physician, registered nurses, licensed practical nurses, certified nursing assistants, restorative assistants, wound specialist, speech, physical, and occupational therapists, respiratory therapists, social and activity directors, dietary manager, and other clinical specialists. 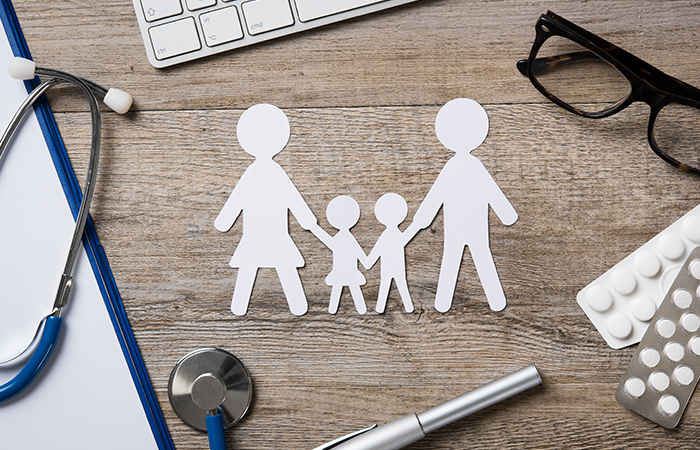 Residents and their families are an integral part of the interdisciplinary team, working with the team to establish (and re-establish as necessary) realistic goals and treatment plans.